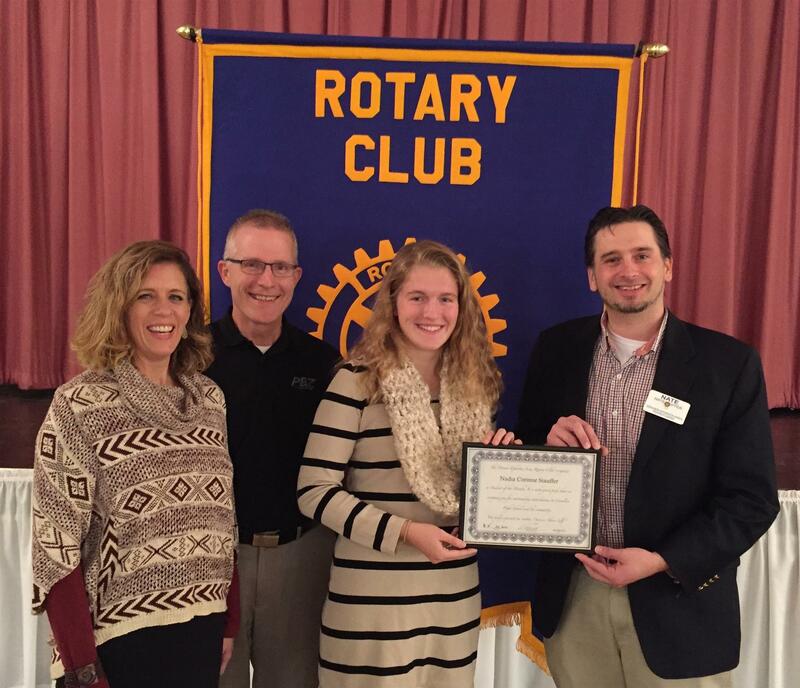 At the November 10th meeting of the Denver-Ephrata Area Rotary, Nadia Stauffer was recognized as the November Cocalico Student of the Month. Nadia participates in soccer, swimming, and track and field. She is a member of the National Honor Society and student government. She was named Science student of the month as well as serving as one of the captains of the soccer team. Nadia supports Girls on the Run, Venture Crew and is employed at Dairy Queen. Her plans are to continue her education at college majoring in nursing. Nadia lives in Stevens with her parents and brothers, Nicholas and Josiah.